Data entry is a very popular option for those looking for a non-phone work from home job. For this reason, telecommuting data entry jobs may be hard to come by but this company Smartcrowd is a great option. Data entry jobs are a great non-phone, flexible job for stay at home moms. If you are a fast typist this might be a great fit for you. For those of you familiar with many of the work from home companies out there, you will have heard of Lionbridge before because they hire for search engine evaluators. Lionbridge also owns Smartcrowd, a crowdsourcing approach to business solutions. If you work for Smartcrowd you are really working for yourself. For those of you familiar with Virtual Bee, Smartcrowd has taken over for that company. 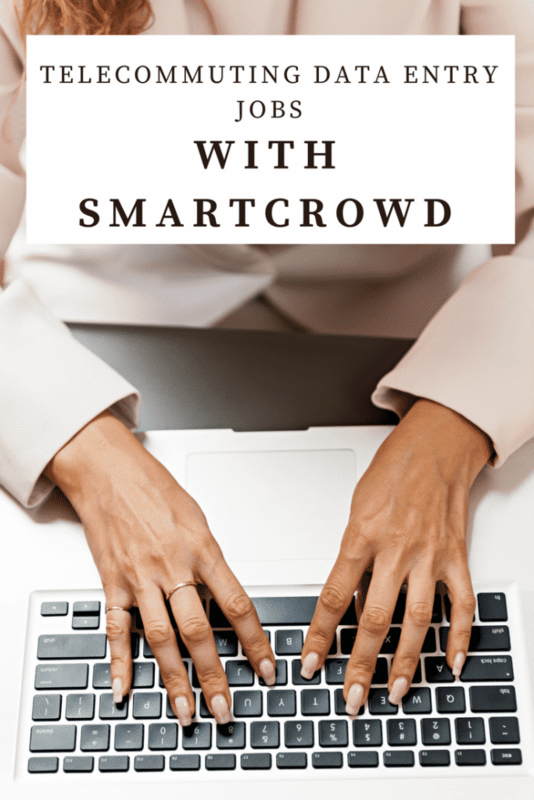 What Does Data Entry for Smartcrowd Include? You work for Smartcrowd as an independent contractor. You must live in the United States or Canada and you must provide your own equipment. Payment is on a per-piece basis so if you are a fast typist you can make more money but there is also no guarantee of minimum wage being paid this way. The company pays weekly but you must meet their minimum payout of $30 before receiving payment. You must be at least 18 years or older to apply. Once you apply, you must pass an assessment test before being hired. You must be a fast and accurate typist. The company hires for these data entry positions frequently but the work is cyclical so these opportunities open up on the website and then are taken down as soon as the positions are filled. You can view any current opportunities here and then you can also sign up for Smartcrowd to be notified by email of any future opportunities so you don’t miss out when they become available again.